Have you noticed recently that the Yellow Pages jut… isn’t working how it used to? For many business owners, this just doesn’t make sense. When the economy was OK, it was as simple as putting an ad in the Yellow Pages and waiting for the phone to ring. Whatever business you are in, you are likely to be seeing chunks being bitten from your Yellow Pages ROI. In fact, many business owners don’t even know what their ROI on Yellow Pages is, or even any marketing for that matter. You cannot control what you cannot measure and although i don’t want to detract from the purpose of this report please, use a seperate telephone number on your Yellow Page ad and when the phone rings, you know where it came from. That however is besides the point, traditional media is dying but it doesn’t mean there aren’t customers out there looking for you. If Yellow Pages is dying, if customers are still spending money, the question is where have they gone? We know people haven’t just stopped spending, so what has happened and what do you need to do to get your customers back? The answer is simply, they have gone online. The next question is: When they search online for your services, is it you they find or is your competition getting all of them ? The fact is that people are no longer using traditional media because it doesn’t work any more. People have too much information to take in and much less time to do it in now. So what do we do? We ignore the noise, we ignore the things that “don’t matter to us”. Tv adverts, newspapers etc they all try to grab the consumers by the throat and show them something they probably don’t want to see. This is not clever marketing. Don’t you think the reaction to a consumer will be much more positive and efficient, to simply be there when “they need you” and when “they can fit you” into their schedule? Of course it would. So, where are these customers? They are online – they might not be looking for “you” but they are looking for your “services”. When they go to Google and search for your services, are you there? Are your competitors? What industry are you in? If you are a dentist in Liverpool type in dentist Liverpool into Google or Plumber Manchester. Do you even show up at all? These are clients that could be yours, but if you are not there how else can they find you? If they can’t find your website then can they find you on Google local listings? What position do you show up? Position 1 will get most of the exposure and the higher up you are in the results will mean the more clients you get. Your Google local listing is your digital Yellow Pages. Your customers haven’t just stopped looking for your services, they are just using different media and technology to do it now. All you need to do, is when they use those new media sources, (the internet) be there to give them what they need. There really is no need to be afraid of the internet, it can be an integral aspect of your company’s success. Most business are not only rarely using this, but most are not doing it properly. 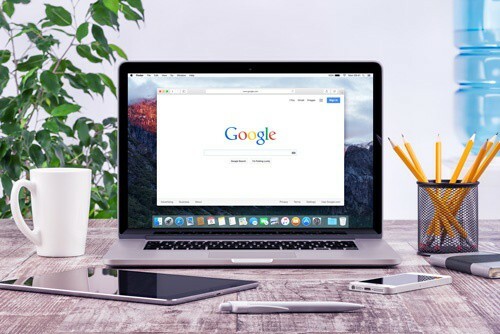 There is a massive opportunity for local business online and Google has given it to you, take advantage of it and your business can prosper, even through a recession. In fact, if during a recession you are able to establish yourself as an authority in your market through good online marketing, when the the economy picks up, (probably around 2014) you can be too strong to compete with. Honestly folks, the recession can be a really good thing for you if you take advantage of it.